FIX: Windows 10 Photos App didn't start. This tutorial contains detailed instructions to fix the Windows 10 Photos App didn't start (Photos won't open or crashes) problem, that prevent users to open and view image files or photos with the Photos App. As, you may know, the Photos App, is the default application to view your photos and images in the Windows 10 and 8/8.1 OS. But, in some cases, especially after upgrading a system from a previous version of Windows to Windows 10 (e.g. from Windows 7 to 10), or after updating Windows 10, users may experienced the following issue with the Photos App: Photos is crashing or not launch and gives the errors: "The App didn't start" or "This App cannot open. Check Windows Store for more info about Photos". How to fix: Photos App didn't start, Photos Cannot Open in Windows 10/8/8.1. 1. Install all available Windows Updates. 4. Update your security software or try to completely disable or uninstall it to avoid compatibility issues. 5. 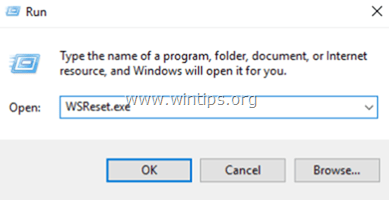 Perform a full Windows 10 shutdown and restart your PC. 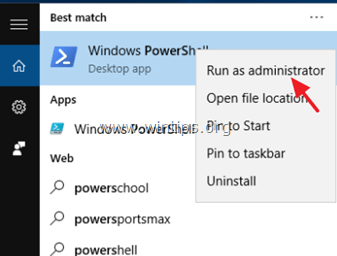 To full shutdown Windows 10, hold down the SHIFT key and go to Power –> Shutdown. Method 1. Reset Windows Store Cache. Method 2. Fix Photos App with the Windows Store Apps Troubleshooting Utility. Method 4. Uninstall and Reinstall Photos App. Method 5. Create a new User Account. Method 6. Repair Windows 10 with an in-place Upgrade. Method 7. Perform a Clean Windows 10 installation. 1. Simultaneously press the Windows + R keys to open the Run box. 3. Close the Windows Store App and then try to launch the Photos App again. 1. 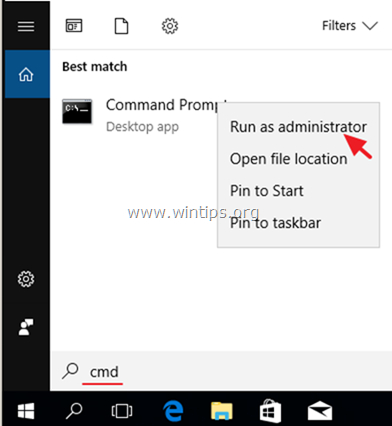 From Start menu click Settings Update & Security > Troubleshoot > Windows Store Apps and then click Run the troubleshooter. 2. Then click Next and follow the on screen instructions to fix problems with the Store Apps. 3. When the repair is completed, try to launch the Photos App again. * Note: On Windows 8/8.1: Press the Windows + S keys to open the search box and type powershell. 2. Right click on Windows PowerShell on the results and select Run as administrator. 1. 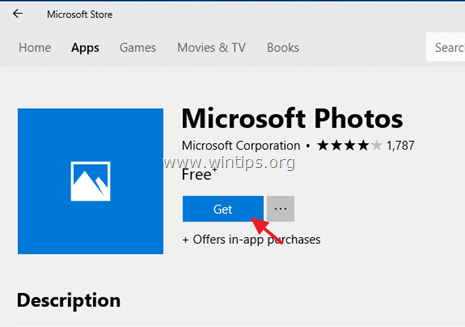 At Microsoft Store's search box type: Photos and click on "Microsoft Photos" App. * Note: If you want change the username "User1" with your own choice. 4. Sign Out from the current user and sign in to the new account. – If the Photos app is not working on the new account too, then continue to the next method. – If the Photos app is working on the new account, then sign out and login again to the old account and see if the problem is resolved. If the problem persists (on your old account), then transfer your settings and files to the new account. Another method that usually can fix many problems in Windows 10, is to repair Windows with an in-place upgrade. For that task follow the detailed instructions at this article: How to repair Windows 10 with an in-place upgrade. Many times, it is better and less time consuming to backup your files and to RESET your PC or to perform a clean Windows 10 installation, than to try to resolve problems in Windows 10. « FIX: CPU Not Running at Full Speed in Windows 10. » How To Turn Off Windows 10 Updates Permanently.